BURBANK, CA (May 1, 2006) - The saga of the wealthy and dramatic Ewing family continues on DVD in Dallas: The Complete Fifth Season from Warner Home Video. Full of sibling wars, adultery, reconciliation and power struggles, Dallas: The Complete Fifth Season presents all 26 gripping episodes and never-before-seen bonus features in a five-disc DVD collector's set available August 1, 2006 and priced to own at $39.98 SRP. Order due date is June 27, 2006. Dallas premiered in 1978 and soon became an international phenomenon airing in over 130 countries around the world. People the world over are still watching Dallas in syndication as the series continues to find a whole new generation of viewers. Over its 14 seasons Dallas garnered 17 Emmy nominations and four wins, 14 Golden Globe nominations and one win, and was the #1 or #2 rated network series for five consecutive seasons. 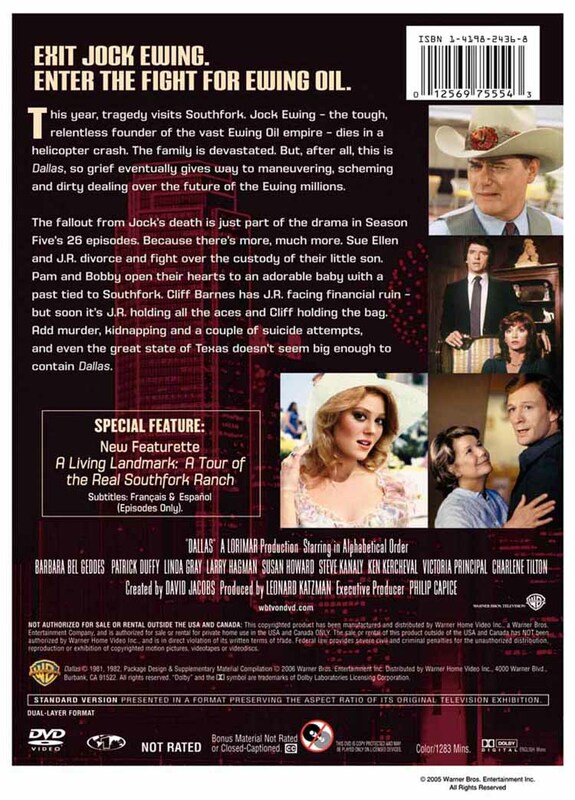 In Dallas: The Complete Fifth Season, the Ewing Family is struck by tragedy when Jock is presumed dead in a plane crash and J.R. schemes to gain ultimate power over the Ewing business while he battles for custody of his son and ultimately tries to win Sue Ellen's love back. The drama continues as Cliff is devastated over Sue Ellen and attempts suicide; Bobby adopts Kristin's baby and gets caught up in a murder charge; and Donna catches Ray in bed with another woman. "It epitomized the 80's and has achieved pop culture status," said Rosemary Markson, WHV V.P., TV Marketing. 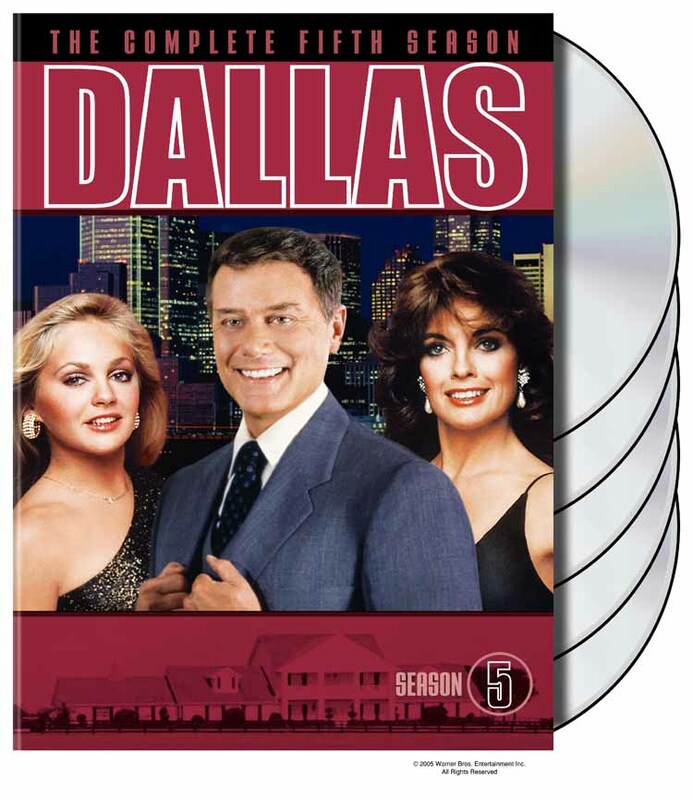 "Dallas fans continue to add new DVD seasons of the series to their home entertainment collections to have instant access to a television show that has been wildly popular around the world."